In most cases, running simultaneous antivirus programs saps computer performance without adding substantial protective benefits. However, certain combinations of endpoint protection complement one another. What are good pairings for security applications on a computer? Here you want to think about software type rather than brand: Specifically, think in terms of antivirus and anti-malware when considering a combination of security software. When cybersecurity experts recommend taking a multi-layered approach to antivirus it means spreading detection measures across the network. 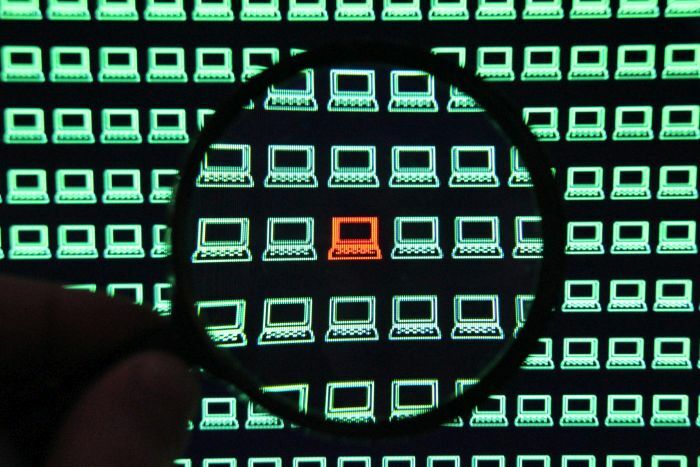 Endpoint protection scanning desktops, tablets, mobile devices. A firewall appliance running its own application, guarding where the office network meets the internet. The idea is to have all the pieces of infrastructure playing its own role in securing the network. The trick to mixing and matching solutions is to disable applications within each that overlap in functionality. First, what’s the difference between antivirus and anti-malware? Antivirus is a detection tool that scans files for known exploits. Anti-malware is a treatment tool used to quarantine and remove bad files from PC hard drive. You will find Internet Security suites on our e-commerce site that contain both AV and anti-malware programs, plus applications that automate backup, physical security like mobile device tracking, stored password encryption, and so forth. Usually you never want to run two antivirus programs at the same time, but understand that having two on your system does have some benefit. A typical setup involves designating one as an always-running solution, with the other AV program running intermittently. Another strategy involves using some features from one suite, and other features from your secondary software. In this setup, you should disable any redundant applications or features as needed to avoid unnecessarily bogging down your computers. For example, Malwarebytes grew in popularity because it uses different computing resources to run in tandem with AV software. Now, if you pair Malwarebytes with something like Symantec Norton Security Deluxe which has its own anti-malware, you’ll want to disable the anti-malware part of the Symantec Norton suite. Doubling up on AV tools vets your data against an extra threat database. There is a way to use both without system overkill. Configure one for continuous scanning, and reserve the other for manual operation every now and again. Do not use both at the same time. Who makes the best Internet Security software? Software testing authority AV-TEST ranks solutions quarterly. Lately, the BitDefender software suite has ranked at or near the top each quarter. Regardless of brand, keeping AV software up to date is the only way to make it worthwhile. If you don’t update antivirus software, don’t bother running it. Purchase a solution that fits your scale. A SOHO under 10 seats will find that retail AV software fits their scope. If you’re buying for a business with more than 10 users and hosting on a server, shop in the software security licensing store. Call a software licensing specialist for help decoding the fine print. Each type of security solution checks files stored on the network, matching attributes against a database maintained by the manufacturer. Positive matches for malware are flagged for further investigation. Malware is an umberalla term for programs that spy on users, or trick them into handing over a password. A virus is malware, specifically one that spreads to endpoints on a network. There are a variety of malware types. Quiet kinds like spyware, adware, and keyloggers nest in start-up settings, registry files, and other deep-seated areas of a computer’s memory and run without the user knowing. Ransomware acts the opposite way, locking access to systems and blaring demands for a bounty. IT professionals often say it’s easier to re-image a computer at the first sign of infection. Wiping and re-imaging infected data is easier and safer than removing the malware. That is assuming that you properly backup your data. The 3-2-1 Backup Method is the standard rule for pro IT. A well-run backup system insures you never have to pay ransom for your data. Simply wipe any infected drives, and load the last clean copy of your data. Any business that has users should a have a firewall appliance configured to police the company network. A firewall examines data entering from outside the network. It screens the router by examining data packets for suspicious files. A loose firewall policy alerts users of suspicious files with a popup box. Tighten security by configuring a firewall to restrict user behavior you deem inappropriate. Set alarms triggered by exceeding parameters you set are detected to enable close monitoring of large networks. No product is perfect. Some software picks up threats that others may not; other times security software returns more false positives than a competing vendor’s may. Your network is only as safe as the most gullible or malicious user on your network. Many companies proactively train employee to detect and avoid and phishing attempts. Train staff by coaching up what spam e-mails look like and attempt to phish them in the course of a couple weeks. See who bites and offer more training. Repeat until scam e-mails fall below your desired threshold. Check out our free anti-phishing training program to use. A well coached staff trained to avoid phishing scans, shady downloads, and dubious password complements your antivirus software best of all. A tandem antivirus software setup can be a boon or detriment to a computer’s overall security and performance—depending on which software you’re running. Malwarebytes Anti-Malware Premium, Malwarebytes Anti-Exploit and Avast Anti Virus. All 3 work seamlessly. Comodi Internet Security, MBAM Premium, Hitman Pro Alert v2.5. Rock solid!